Our Staff - Exceptional Equestrians of the Missouri Valley, Inc. Exceptional Equestrians of the Missouri Valley holds itself accountable to the highest standards in Equine Assisted Activities and Therapies (EAAT). We employ a team of highly dedicated, educated and experienced instructors. All of our instructors are certified with the Professional Association of Therapeutic Horsemanship (PATH Int'l) and maintain rigorous continuing education coursework in the areas of working with people with special needs, and horsemanship. EE is excited to welcome back Dayna Baynes! Dayna was an intern with Exceptional Equestrians back in 2011 and worked with us in 2012. She returned to the program in the Fall of 2017 and is now our Program Manager. Dayna is a PATH Int'l Registered Therapeutic Riding Instructor and has a passion for working with clients. She's an extremely experienced rider with training in every discipline from barrel racing to fox hunting! When not at EE, Dayna enjoys spending time with her new husband, Casey, and all of her animals, including her mare Reisling and her soon-to-be therapy pig Petunia! David joined us in 2014 as a volunteer. His past experience as a school administrator and his energetic, friendly nature have helped many of our participants achieve their goals. David is equally as talented with our horses and can often be found next to his favorite horses, Mach and King. He's been very instrumental to the success of our new licensed therapy program and works as the Therapy Program Coordinator. When not at the barn, he enjoys spending time with his family, especially his grandson, Jordan. Lindsay started out in therapeutic riding as a volunteer nearly 18 years ago. She's been an Advanced Certified Riding Instructor since 2004. Lindsay wears a number of hats for the program, from teaching to grant writing to fundraising. Lindsay has been with Exceptional Equestrians since 2004. Outside of the barn, Lindsay enjoys spending time with her daughters, Finley and Cecelia, and her husband, Matt. Stephanie has been involved with Exceptional Equestrians since 2008. She is a conscientious, patient instructor who brings out the very best in her students. Stephanie has earned her PATH Registered Instructor Certification in 2014. Along with teaching, Stephanie manages the care of our equines. She holds a degree in Liberal Arts from ECC. In her free time she enjoys hanging out with her husband, Ben. Tracey Keeven came to EE in 2016 as a program volunteer. She became a PATH Intl. 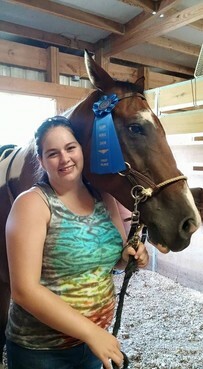 Registered Riding Instructor in the summer of 2018. Tracey has ridden for most of her life, and has many horses at her farm, Kick'n K Farmhouse and Arena. Tracey also runs a painting business. When not at EE, Tracey enjoys spending time with her grandchildren. Allyson joined the EE team in the Fall of 2018 as a session volunteer and soon became a Volunteer Team Leader for our daytime volunteers. However, Allyson has been involved with EE for more than 10 years, as her son is a program participant. Her other kids have participated in EE summer camps and horse shows. When Allyson isn't at EE, she enjoys spending time with her family. You can reach Allyson at allyson@eemv.org. Amanda has been volunteering with Exceptional Equestrians since 2013. She became a PATH Int'l Certified Instructor in the summer of 2017. In her spare time she enjoys photography and hanging out with her family, friends, and pets, Felix (cat), Tas (dog), and Mowanza (dog). Karen Jensen has been a Certified Therapeutic Riding Instructor since 2003, and has been with Exceptional Equestrians for more than 15 years. In addition to being an instructor, Karen was the first member to the EEMV volunteer hall of fame, and has logged more than 1000 volunteer hours. Karen has a natural talent for making her lessons fun and unique and is always thinking of new ways to teach. Ellie has been a barn aide at EE since the Spring of 2017. Ellie became involved with EE when she was working with one of our clients. After bringing him out to ride, Ellie began to volunteer and then to ride herself. Ellie is a life-long horse lover and true equestrian and is happy to help in any aspect of the program. Ellie can usually be found with her favorite mount, Liberty. When not at the barn, Ellie enjoys spending time with her family and fiancee.